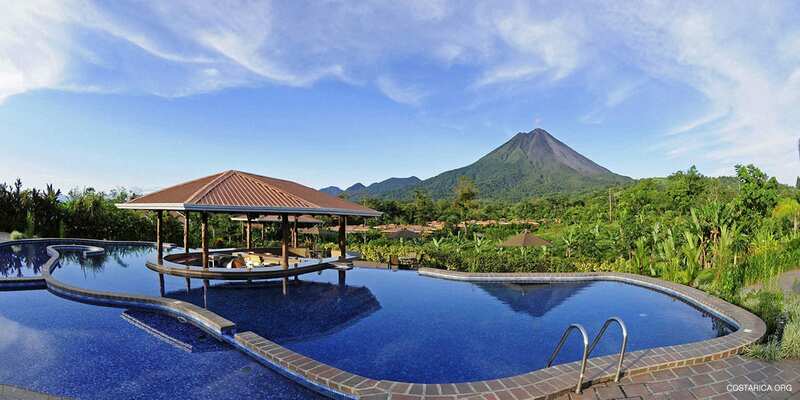 Arenal Manoa, Costa Rica - Breathtaking volcano views from your room! 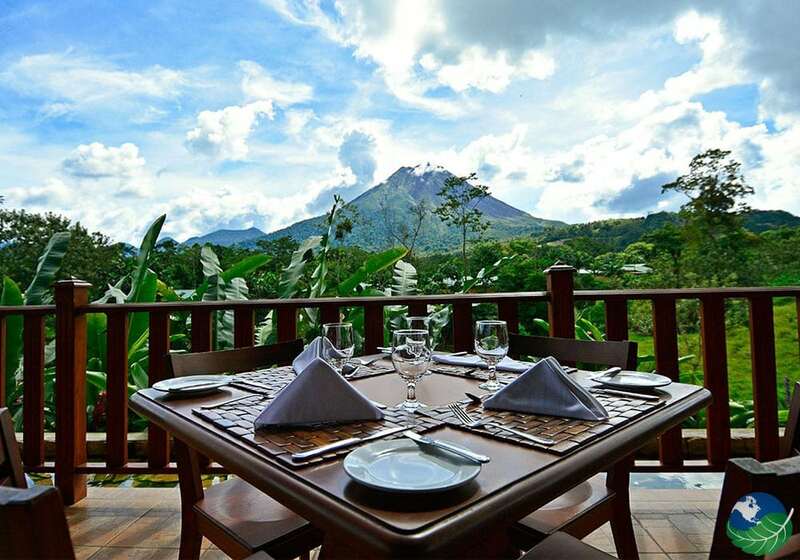 Enjoy the most beautiful views from Arenal Volcano from your private terrace! 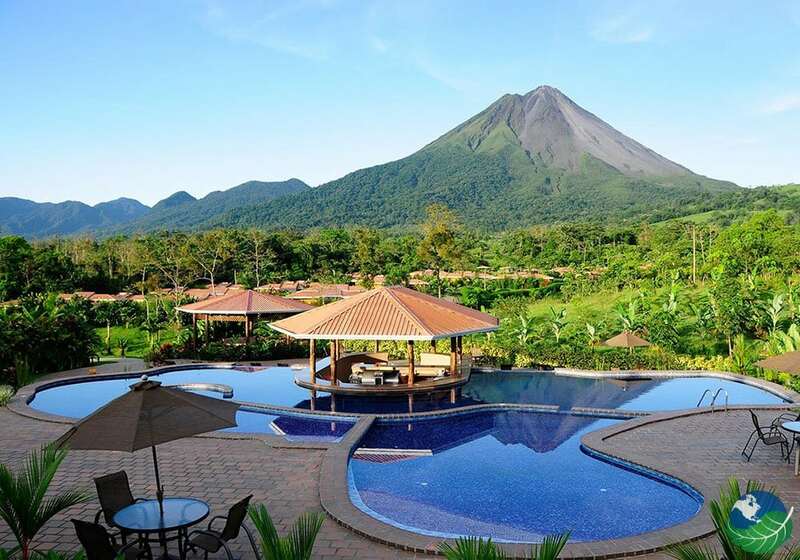 Located in La Fortuna, the Arenal Manoa Hotel & Hot Springs Resort offers you not only with the most breathtaking views of Arenal but also with the comfort, privacy, peace, and harmony you are looking for in your vacations. The natural beauty surrounding the Hotel, its gardens, its views, combined with a high-quality service will make your stay in Arenal unforgettable. With those amazing views of Arenal, you will miss them. So that you will have an incredible panoramic view of the volcano in your room. All from your private terrace and even from your bed. Privacy’s also part of your stay at Manoa since each room’s located in a private bungalow. The rooms have also been designed with a mix of rustic and modern architecture. Also, with a wide open exterior and interior space which will guarantee a pleasant atmosphere. You can enjoy a delicious meal with national or international cuisine in La Saca Restaurant at the Hotel. Or enjoy your favorite drink in one of the wet bars near any of the pool areas. They also have magnificent views of the volcano. Either you want to enjoy the Jacuzzi with natural hot springs with your loved one. Or the kids want to enjoy the children’s pool, they are definitely something for everyone. And let’s not forget about the natural Hot Spring pool, where you can relax every day, our recommendation is to visit it at sunset; you will fall in love with the views. Its location is perfect to explore La Fortuna town, the volcano, the hot springs and take part of many exciting tours and activities. Also with spacious gardens around the property, Jacuzzi, spa, pools, the hotel’s farm, and those views, you may never want to leave. Arenal. 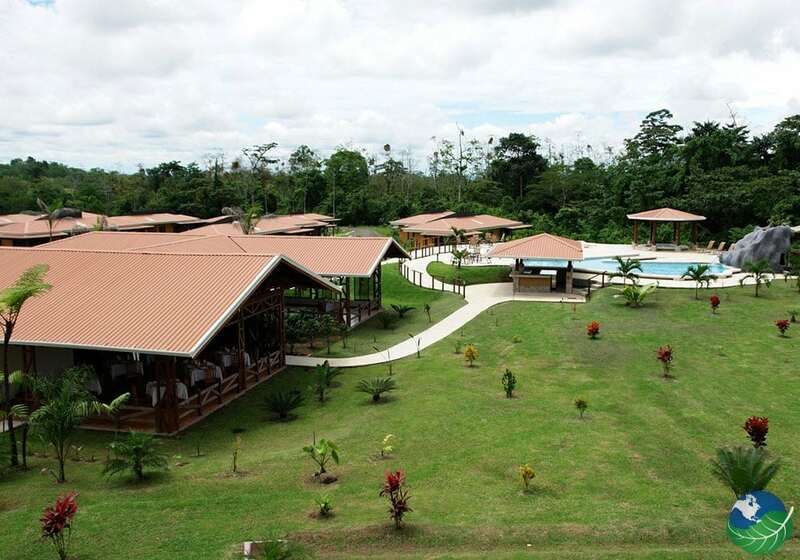 Family Friendly, Nature, Volcano, Hot Springs Spa, Pool, Restaurant. TV, Phone, Hair Dryer. Laundry Service, Room Service.